City legislation can only go so far in creating a culture of compliance among landlords, who are entrusted with managing and preventing the risk of lead exposure under our system. Landlords need to know that agencies are watching and will penalize them if they neglect to take basic steps to prevent serious harm to their tenants. The city’s LeadFree NYC initiative has announced several actions to help instill a culture of compliance, including targeted audits of landlords who have had lead violations in the past, as well as on online certification system for landlords to promptly notify the city of completed inspections. 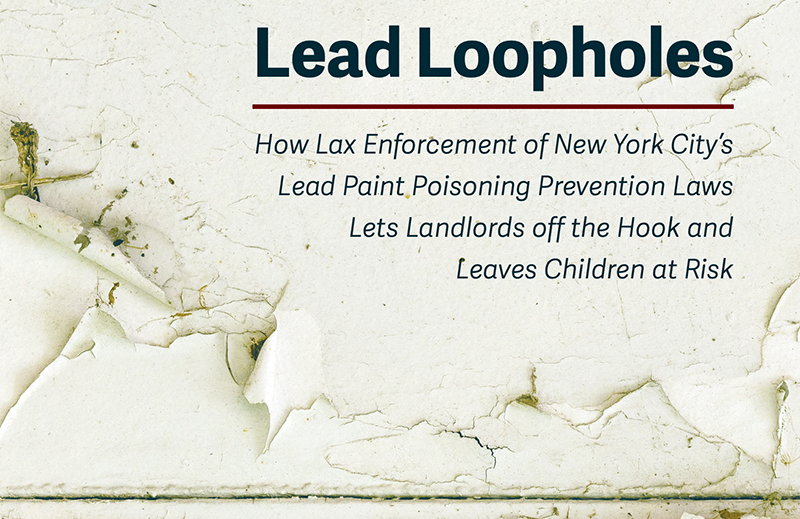 Combined with the higher standards and increased transparency around enforcement mandated by the Council’s new legislation, there is hope for making progress toward ending lead exposure. But additional legislative measures are still necessary to meet that goal. We cannot allow another generation of children to suffer the consequences of lead exposure. We must foster a culture of interagency cooperation, transparency and community support to ensure safety for all of our children. We must do right by them. You can read the full op ed at City Limits, here.